When we set out to design the Women's Torch 3.0 Road shoes, we made our goal to create a performance road shoe that's as feature-packed as many top-end options, while coming in at a more palatable price. In order to achieve this, we utilize three strategically placed materials on the uppers, that are welded together—TPU and mesh in the front, with synthetic leather in the rear. 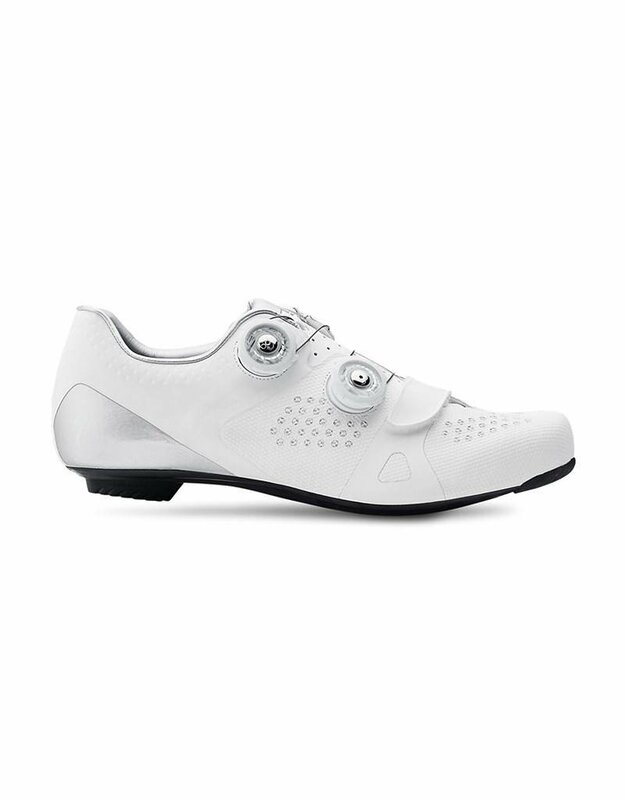 This makes for a more comfortable and supportive front of the shoe, while a stiff rear and heel cup lock down your heel and keep all of your watts going into the pedals. This refined upper is combined with our legendary FACT carbon fiber sole to further ensure an efficient power transfer. Finally, we topped the Women's Torch 3.0 off with two Boa® S2-SV Snap dials for zonal closure, and a precise fit that leads to all-day comfort. FACT™ carbon/composite fiber sole and torsion box construction are directionally rigid for outstanding power transfer: Stiffness Index 8.5. Dual Boa® S2-SV Snap dial closure for on-the-fly micro-adjustment, backed by the Boa® Lifetime Guarantee. Upper made of mesh, TPU, and synthetic layer are placed in specific zones for comfort and lock-down, and are thermobonded for superior fit. Standard Fit for on-bike support and all-day comfort.